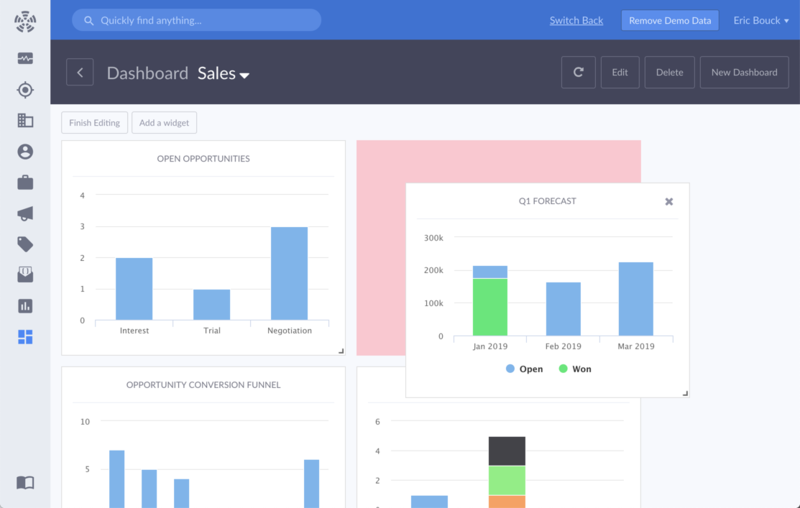 Propeller makes it dead simple to create detailed sales reports, beautiful dashboards, and revenue forecasts. 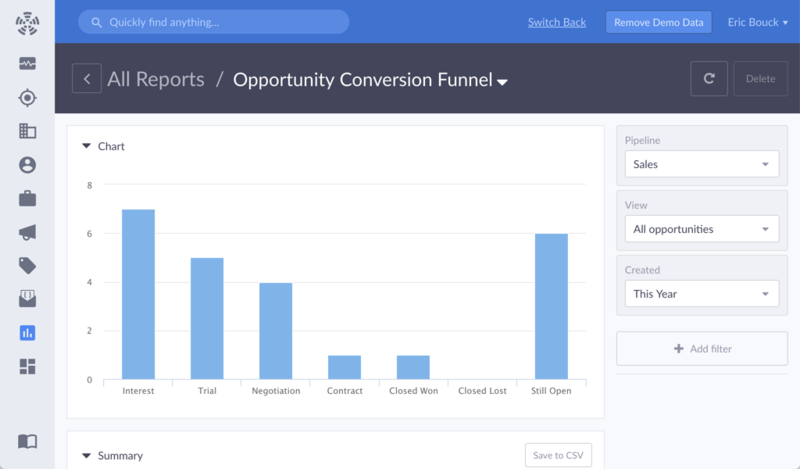 Customizable pipeline reports show you how revenue is flowing through your sales process, when deals are closing, and helps you spot trends and insights that can accelerate growth. 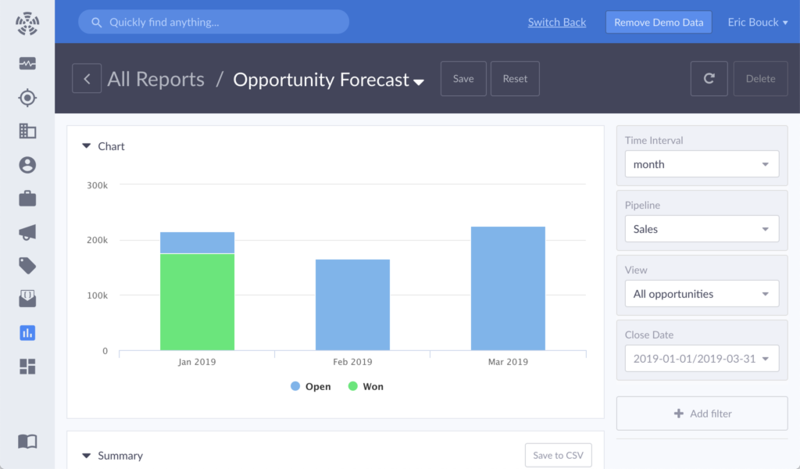 Generate revenue forecasts in seconds. No extra work, data logging, or complex formulas. Every deal in your pipeline is automatically added and weighted based on your settings, giving you an accurate and up-to-date look at cashflow in real time. See real-time conversion rates from every stage in your sales pipeline. Identify bottlenecks and opportunities with astounding insight without tedious sales cycle audits or opportunity portmortems. Just learn, improve, and grow. 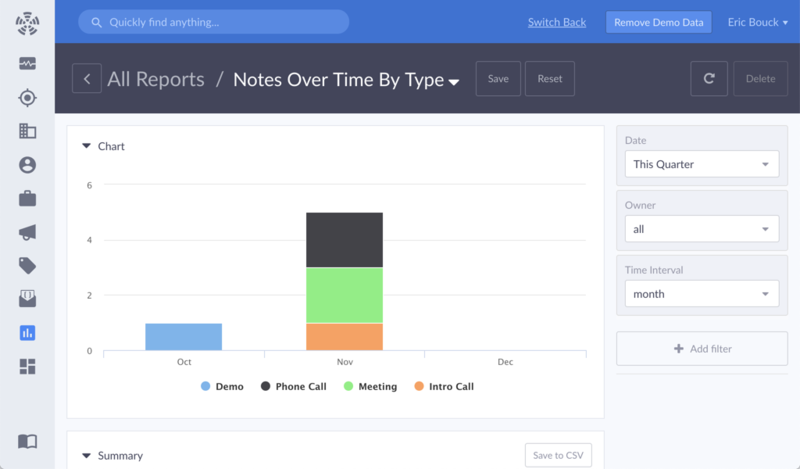 Sell smarter with detailed activity reports to track individuals, teams, or the entire sales organization. See what activity is linked to revenue and how to close more deals without more time or resources. 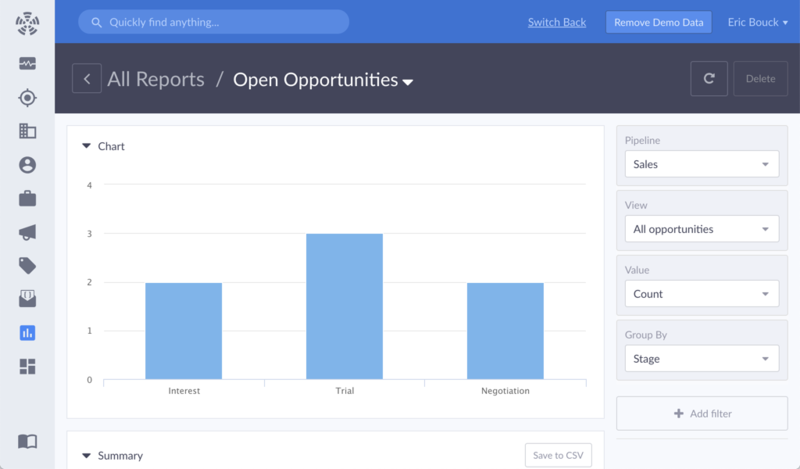 Get the data and insight you need -- and nothing else -- with customizable sales dashboards. Each user can build their own dashboard to track and monitor the sales data that matters to their job. Create multiple dashboards, share them with the team, and keep everyone focused on the metrics that move your company forward.